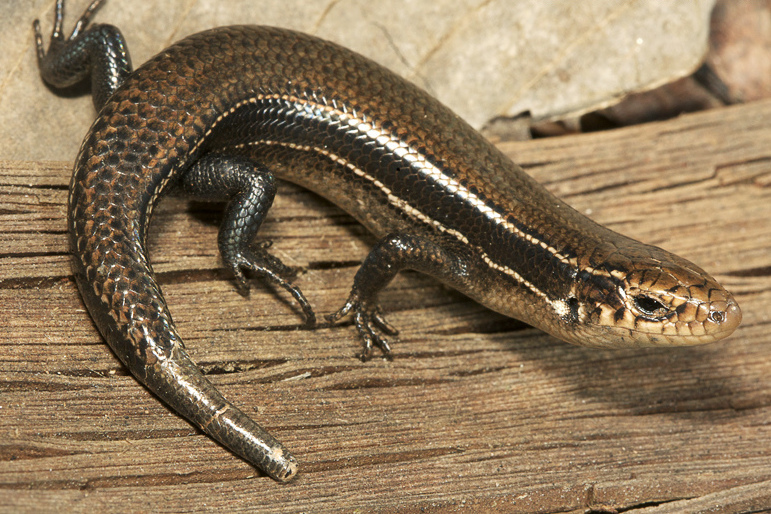 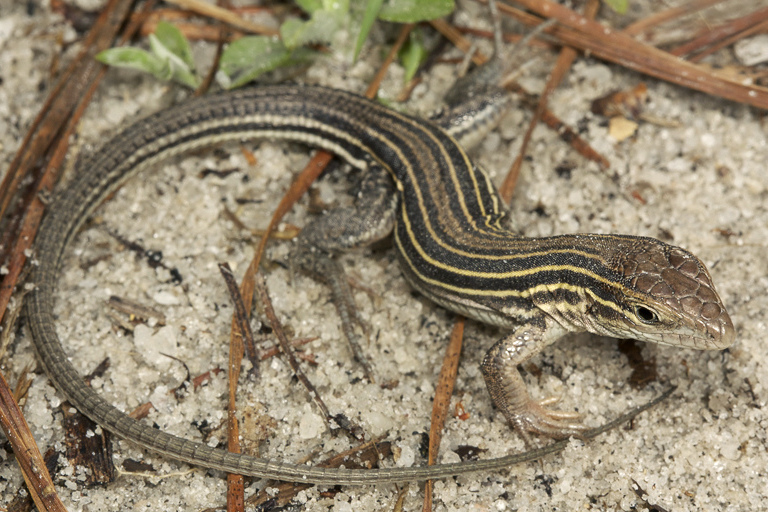 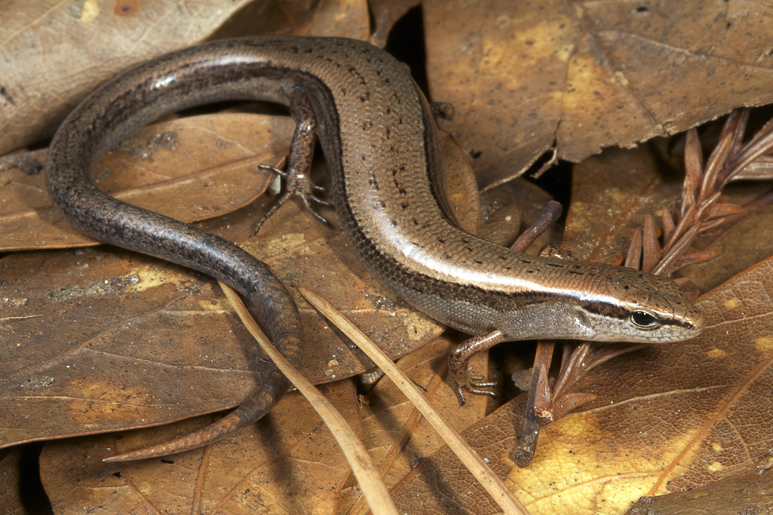 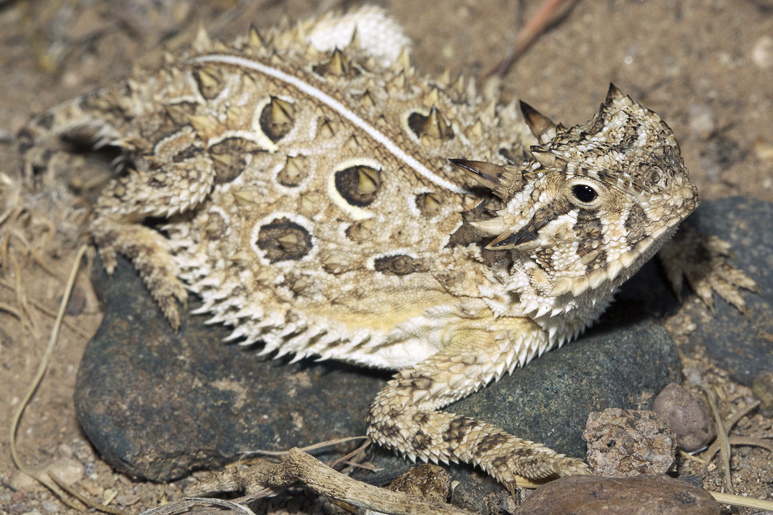 North Carolina is home to 12 species of lizards (Order Squamata, Suborder Lacertilia), none of which are dangerous. 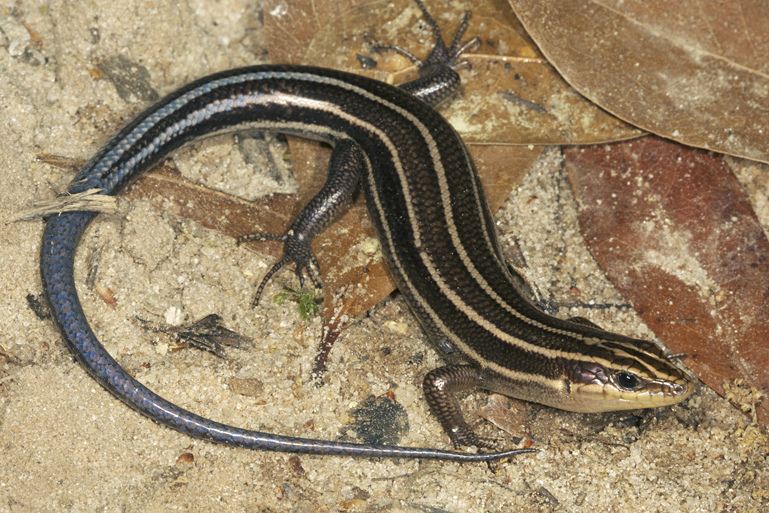 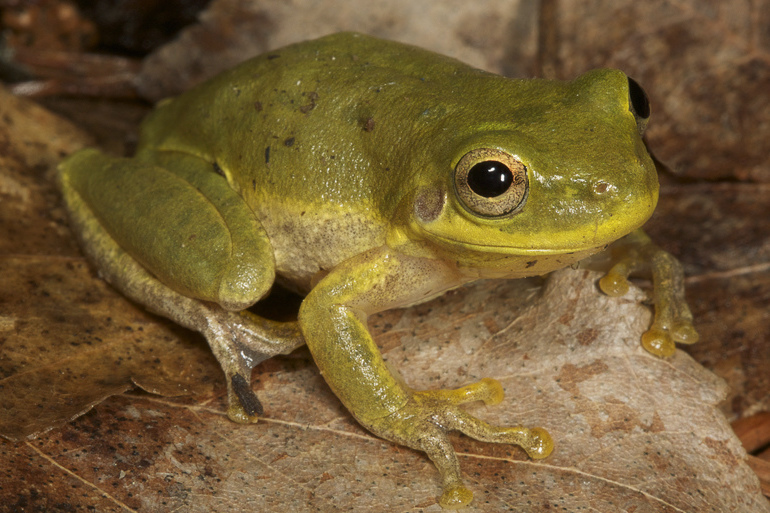 Superficially, lizards and salamanders are similar in appearance, however lizards have scales and small claws at the ends of their toes, while salamanders do not. 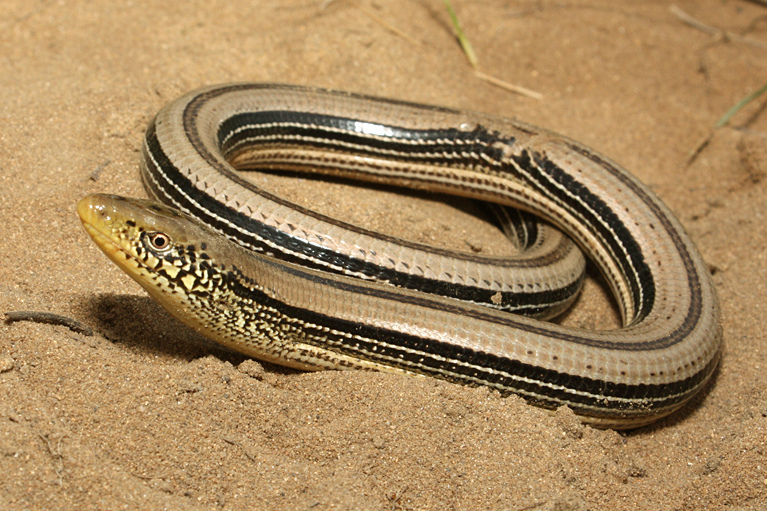 One group of lizards, the glass lizards (Ophisaurus spp.) 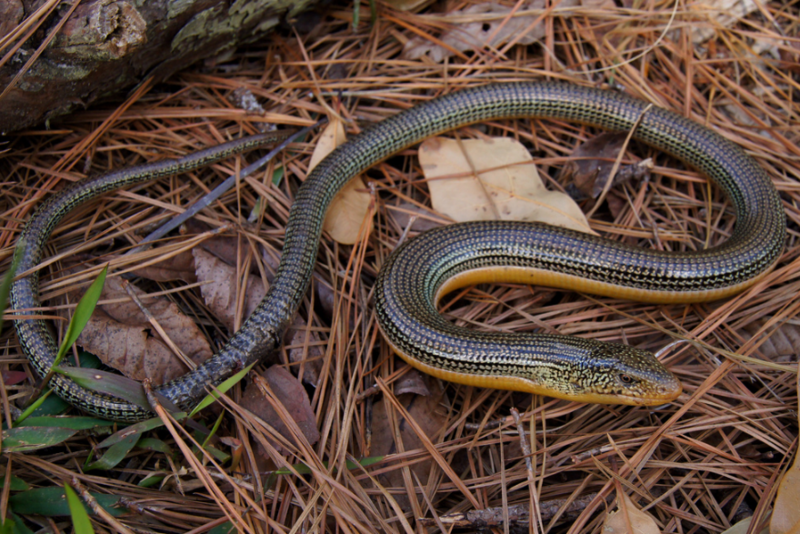 are legless and thus resemble snakes. 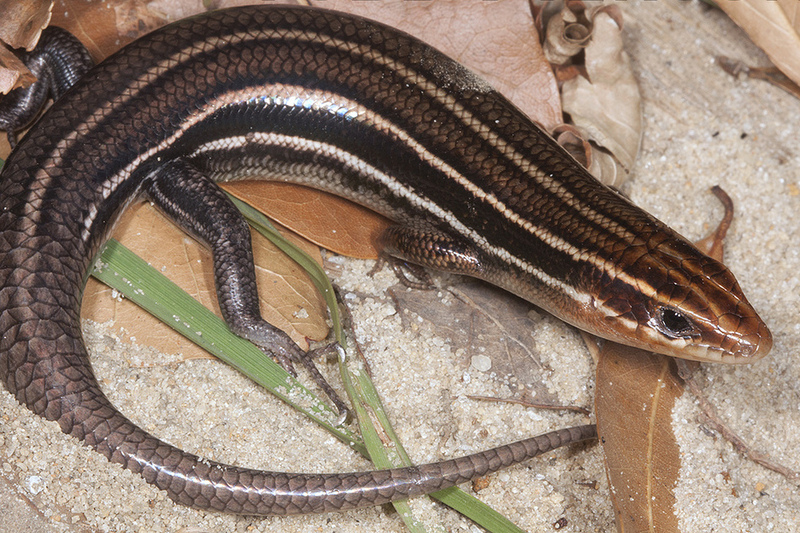 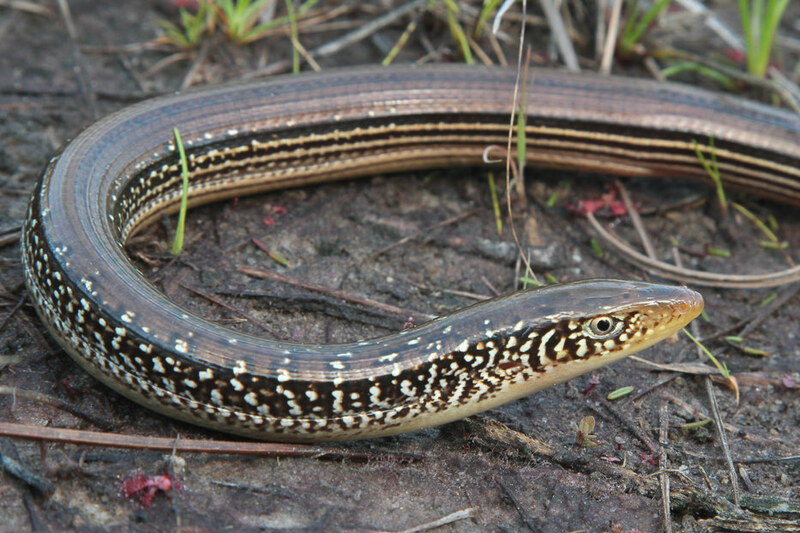 Snakes, however, lack the external ear openings and movable eyelids of these lizards. 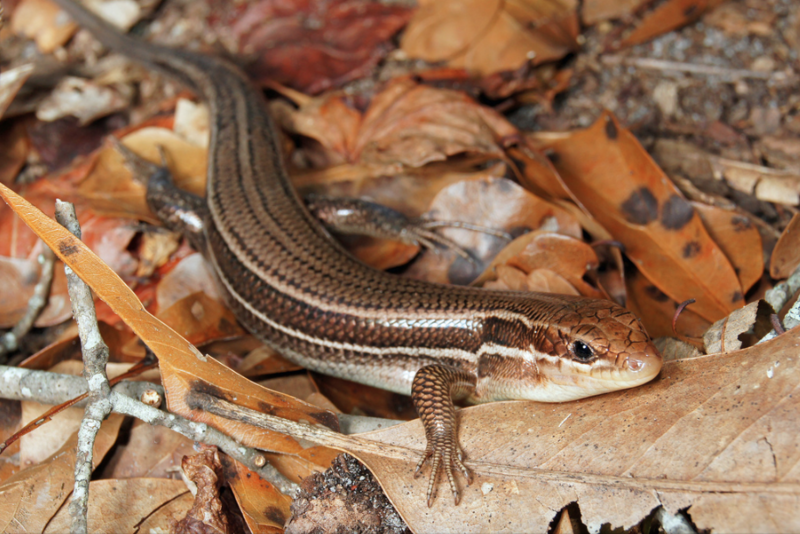 Lizards can be very abundant in some areas but are often difficult to spot and even more difficult to capture. 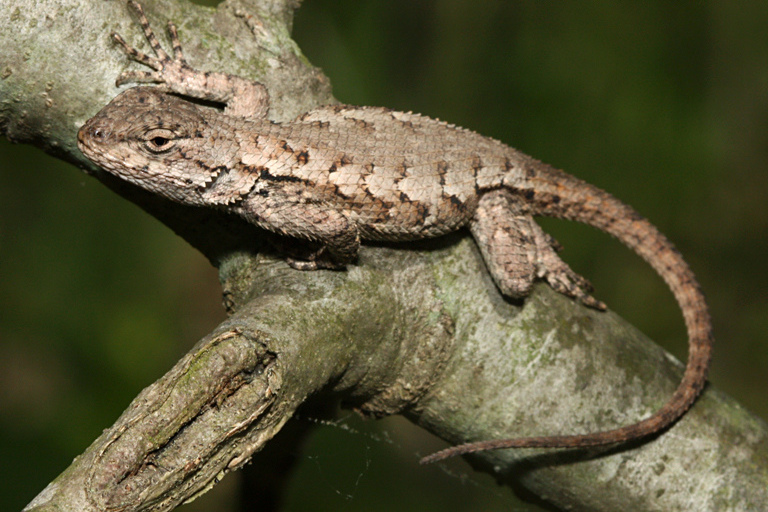 If they are caught, however, many lizards will break off their tails in order to escape their captors, and the tail will later regrow. 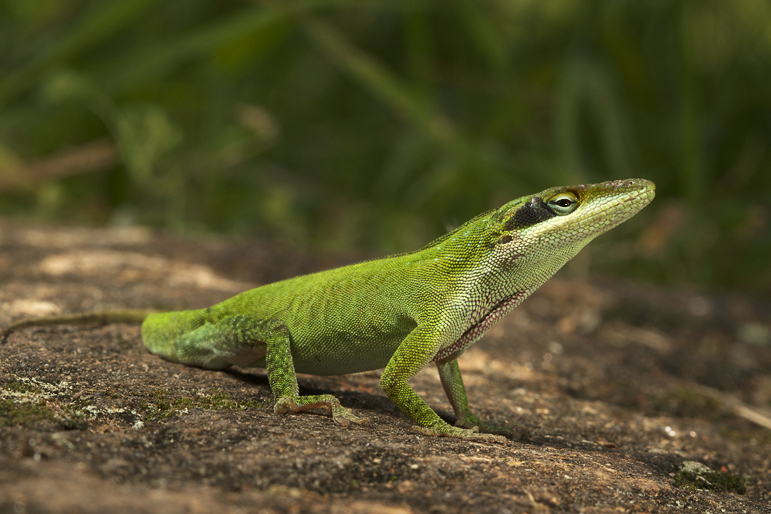 Because of their abundance, lizards play important roles in food chains and benefit humans by controlling insect populations.